After stirring a controversy with a spur of allegations against the NIA, Special Public Prosecutor Rohini Salian does not feature in the latest list of prosecutors appointed by the NIA. The notification, dated May 25 and signed by Joint Secretary M.A. Ganapti, discloses the names of 33 public prosecutors who would represent NIA in various courts across the country. The new notification says that five lawyers have been appointed as special public prosecutors to represent NIA in Maharashtra. They are Pradhan Chandamal, Nandkishor Rathod, Sunil Gonsalves, Avinash Rasal and Prakash Shetty. 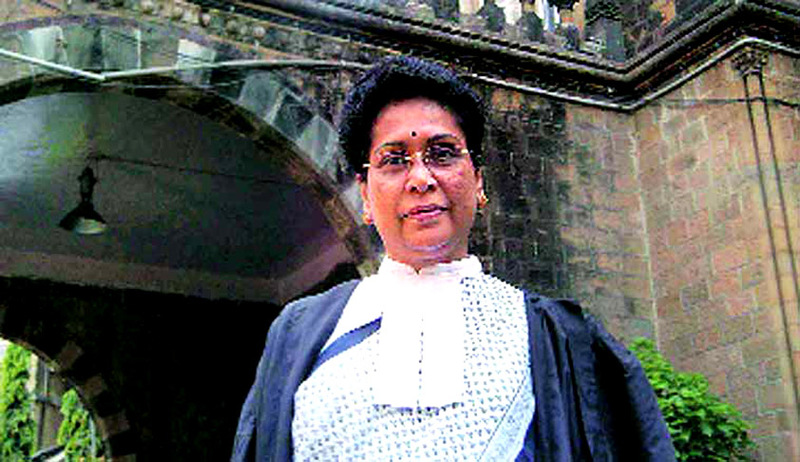 In the case related to the 2008 Malegaon blasts case in which four Muslims were killed during Ramzan and in which Hindu extremists are the accused, SPP Salian had alleged that over the past one year, since “the new government came to power,” she has been under pressure from the National Investigation Agency (NIA) to go “soft” in the case. In the interview, Salian also claimed that she can prove the allegations against NIA. You may read the LiveLaw story here. Responding to an Indian Express article, NIA had issued a clarification recently. The clarification explained the entire hierarchy followed by the NIA with respect to notification of Special Public Prosecutors. NIA has argued that Salian's accusation came at a time when the process of her de-notification was underway and thus her claims are smear against the agency. It explained that during the meeting of the designated Committee chaired by DG, NIA held on 12.01. 15, recommendations for fresh empanelment were made. Subsequently, based on the recommendations, MHA notified 33 new Spl PPs vide its notification dated 25th May, which included five for the state of Maharashtra. As per the clarification, during the same meeting of 12.01.15, the designated committee had also decided that the performance, suitability and availability of the Spl. PPs who are in the panels of five years or more or who are in the last quarter of completing five years, will be assessed and if need be, recommendations be made for de-notifying them. “In compliance of the decision of the designated committee heads of NIA branches were asked to send their recommendations for de-notification . In response, the Mumbai branch, vide its letter dt. 16th June 2015, has recommended for de-notifying three Spl. PPs including Ms. Rohini Salian (who will be completing five years on 31.08.2015) in view of many Spl. PPs already available for representing the branch. Recommendation of the branch has reached the Head office and the matter is under process,” the clarification states. Rapping the newspaper for the coverage, it stated, “NIA also wishes to place on record that before publishing a news article, it is expected that the concerned reporter approaches the agency for hearing its version and avoids writing a one sided story.” You may read the entire text of the clarification here. A lawyer of 25-year standing, Salian is also a prosecutor in Mulund bomb blast case (in which three cases are clubbed together) and 2002 Ghatkopar bomb blast case. She has also appeared in some high-profile TADA cases and MCOCA cases. She hails from Mangalore in Karnataka and has also served as the Chief Public Prosecutor in Mumbai for close to five years. She was also the public prosecutor in the 1992 J.J Hospital shoot-out case in which underworld don Dawood Ibrahim's aide Subhash Thakur was sentenced to death. Read NIA's Press Release here.